I’ve moved home an unreasonable number of times within the last few years, so my books are spread all over the place. Most still reside in my mum’s house, a mess of books in the corner of my old bedroom. 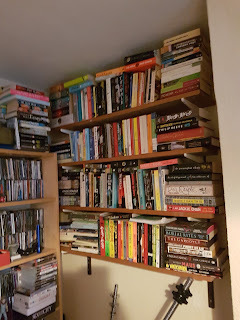 A couple of years ago those shelves fell completely off the wall while I was sitting in the room, I thought I was going to have a heart attack! 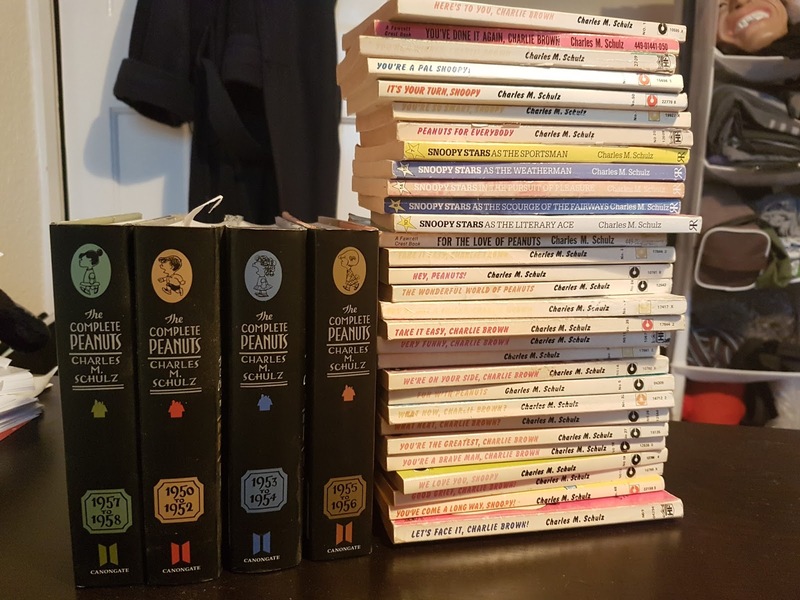 I have a fairly extensive collection of Peanuts books, most of which I’ve had as long as I can remember. My parents used to pick them up from charity shops. They’ve always been my go-to books when I’m feeling low, and I really identify with Charlie Brown. I started buying the complete collection editions but ran out of money! 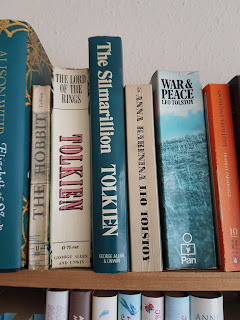 These are on the bookshelves in my mum’s front room, behind the TV. When The Fellowship of the Ring movie came out I had no idea at all what The Lord of the Rings was about. 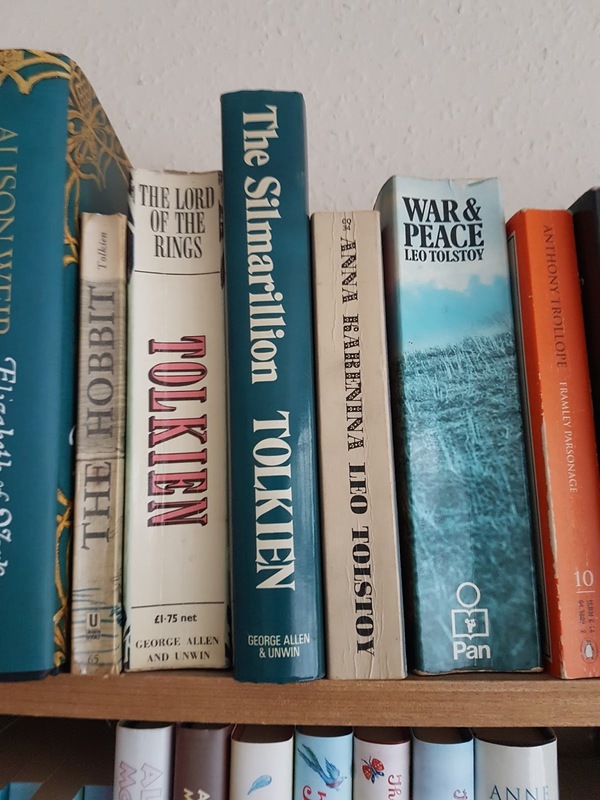 It had always been on that shelf beside Tolstoy, so I assumed it was something similar. 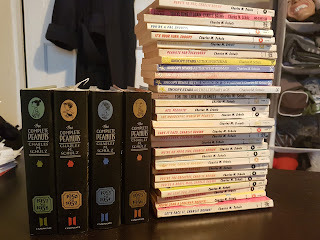 After falling in love with the movie I finally took those books down and raced through them before the second film came out. Now to the bookshelves in my flat! 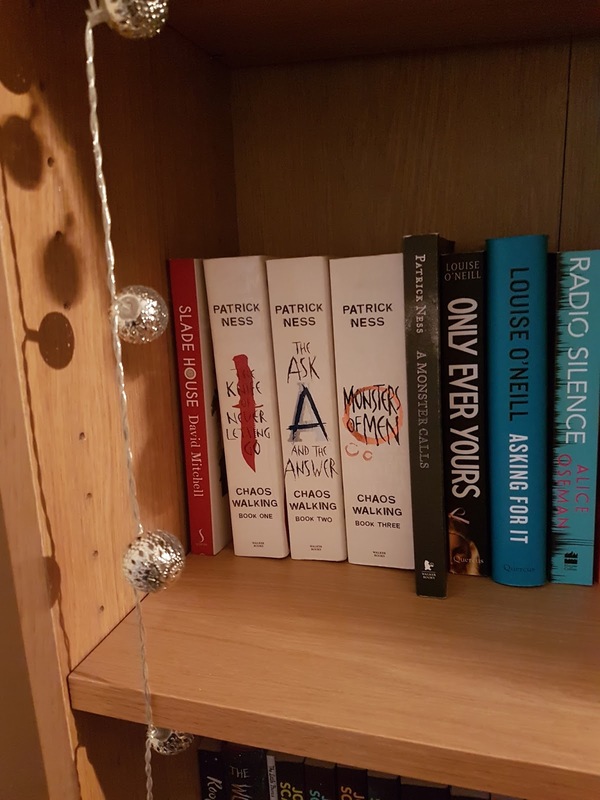 Patrick Ness’s Chaos Walking trilogy was possibly the first YA series I truly loved. 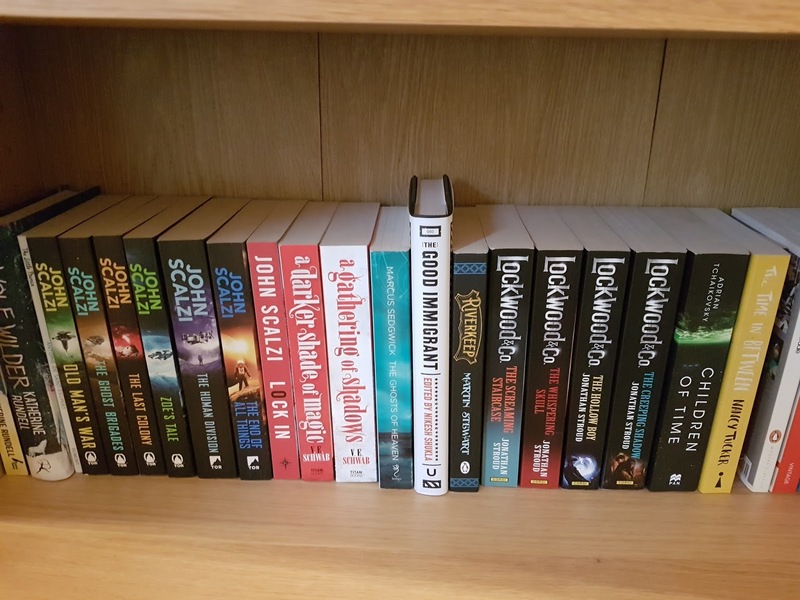 For a long time I had the third book in hardback because I hadn’t been able to wait, and then they changed the paperback covers before I replaced it. 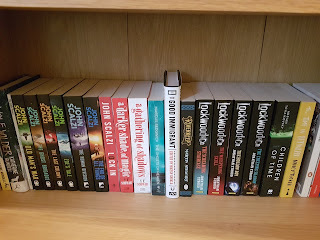 Last year I finally managed to get a paperback with the white spine. 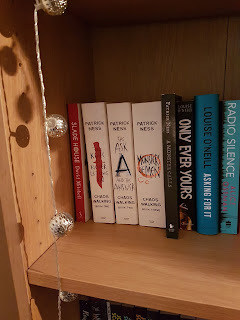 This is probably my favourite stretch of bookshelf! John Scalzi’s Old Man’s War series is one of my favourite sci-fi sequences, The Good Immigrant is an essential essay collection, the Lockwood & Co books are phenomenally vivid, exciting, scary middle-grade, and Children of Time at the end of the photo is possibly the best science fiction novel I’ve ever read.